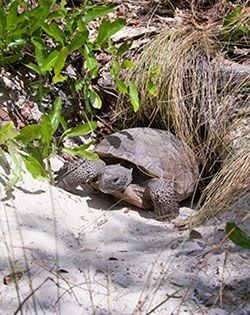 The Florida Fish and Wildlife Conservation Commission (FWC) is holding regional workshops to present information on opportunities for local governments to help conserve gopher tortoises in Florida. The goal of these workshops is to identify ways cities and counties can participate in protecting one of Florida’s threatened species. Two workshops are scheduled in southwest Florida. Representatives from local governments in nearby counties are encouraged to attend. The workshops are free, but registration is required, as space is limited. To register, please send your name and the name of your organization to Alex.Kalfin@MyFWC.com.